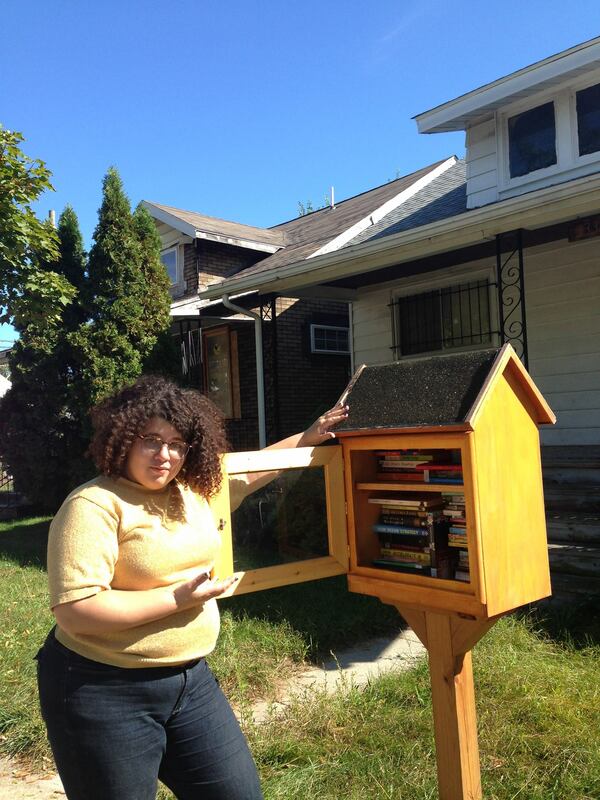 Casey Rocheteau was the first ever winner of the Detroit Write-a-House competition. Write a House works to bolster the literary arts community in Detroit by renovating homes in Detroit neighborhoods and giving them to writers, free of charge, forever. Rocheteau, a poet and performing artist, contributes to Detroit’s vibrant literary scene in print and in performance. But there is another way she contributes to literacy and reading—with the Little Free Library planted in front of her home. Recently Rx for Reading gave Rocheteau over 400 children’s books to help keep her library filled with choices for all of the kids in her neighborhood. Rocheteau’s Write-a-House is a reader’s paradise.